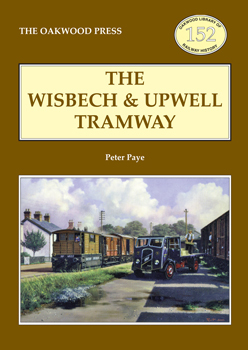 Opened in 1883 the Wisbech and Upwell Tramway ran for over five miles – slowly – from Wisbech to Outwell and Upwell. Passenger services ceased in 1927 and goods in 1966, and now little trace remains of this funny little railway that had locomotives that looked like guard’s vans and inspired the Reverend W. Awdry to introduce the Toby the Tram Engine character. The history of the line receives the typical Peter Paye treatment – told in detail and at length with many illustrations.